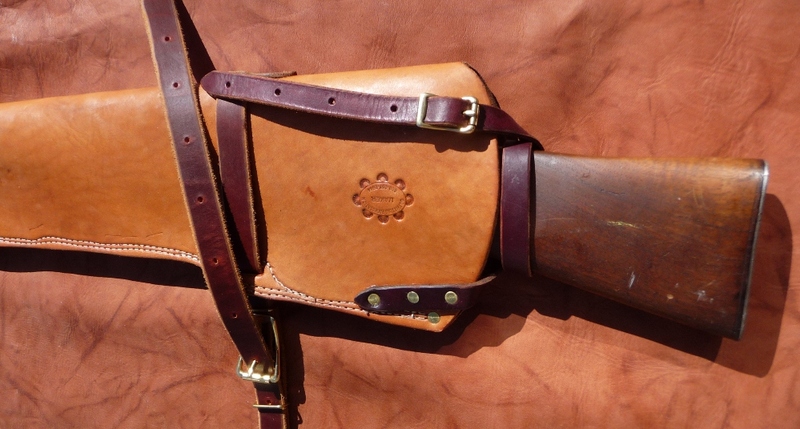 The leather Carbine Rifle Scabbard is made out of a 10-12 oz. oiled skirting leather. The leather straps are extra long. 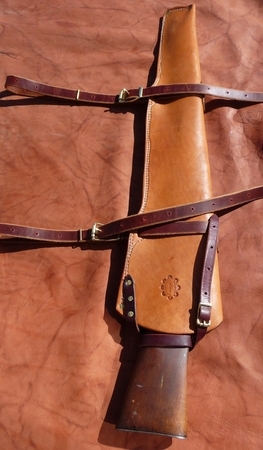 This scabbard is heavy duty & made to last for many years.